GREAT NEWS…The Four Seasons Resort, Nevis will not be closing! 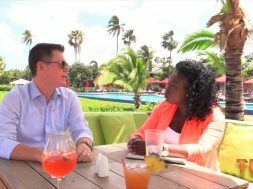 In this video, THG Network’s Jaedee Caines speaks with the resort’s General Manager, Ed Gannon, about the ongoing rehabilitative work that will improve the Four Seasons brand and keep the resort’s doors opened for new and returning guests. It’s Microscope on THG!